President Donald Trump and Environmental Protection Agency (EPA) Acting Administrator Andrew Wheeler are attacking our environment and health — again. 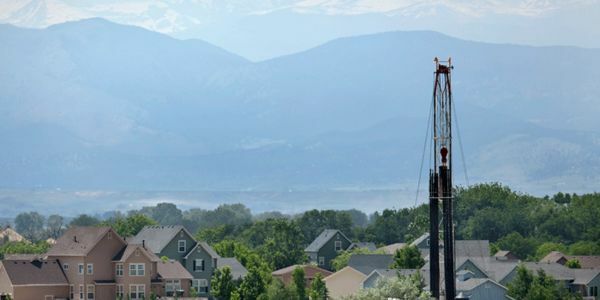 This time they're trying to gut commonsense methane pollution standards, putting their polluter friends in the oil and gas industry ahead of the health and safety of communities across the country. Oil and gas companies release millions of metric tons of methane and other dangerous gases into the air every year. These pollutants are proven to cause long-term health problems like asthma and even cancer. Colorado, a state with a strong oil and gas industry presence, has over 32,000 summertime asthma attacks each year. To make matters worse, methane is a significant driver of climate change. Wheeler and Trump's reckless rollback of the methane pollution standards would put our health — and our planet — at risk. Make no mistake: this is a blatant attempt to give corporate polluters a free pass to endanger our health and safety. If Wheeler guts these critical methane pollution standards, our families will pay the price, especially those who live near oil and gas facilities. We need your voice — our health and future are on the line. Tell the EPA to put an end to their crusade against pollution standards and put public health first! I oppose the EPA's attempt move to gut methane pollution standards. These commonsense safeguards were designed to limit the release of methane pollution, a potent greenhouse gas, from oil and gas infrastructure, and also to help protect communities from other harmful pollutants released alongside methane, such as benzene and volatile organic compounds. Rather than weakening these critical protections, we need the EPA to strengthen methane pollution safeguards. It is EPA's obligation to protect all Americans from harmful methane pollution. Any attempt to slow or dismantle standards that cut pollution from the oil and a gas industry is a direct assault on our health and environment.